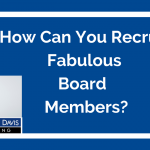 How Can You Recruit Fabulous Board Members? Since your board will be your boss, you want to create a great one. How can you do that? In this quick video, Karen’s advice helps you to get started creating the board of your dreams. 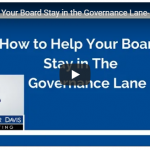 Does your nonprofit board meander out of its lane? Does it micromanage staff, and dive into operations issues? 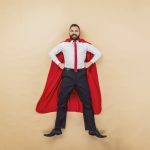 This video will help you lead your board to develop strategy, policy, and improve the CEO’s effectiveness instead. Money or Board Diversity Do We Have to Choose? Q: To diversify our boards, should we expect board members to participate on the same monetary level or make exceptions? The answer to this question requires some perspective, history, and strategic thinking. We start with the perspective. What behind the soaring interest in diversity? Facts: The US population is growing older, bigger and more diverse. 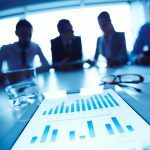 Studies: A 2017 BoardSource’s Leading with Intent report found that board diversity either stagnated or declined since 1994. You’ve heard it said that board members should give, get, or get off. What if we, as nonprofit leaders, offered a better, third option? 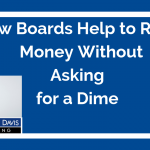 The expression, of course, means that board member should give their own money, help the nonprofit to get money, or depart the board. I don’t have a problem with the give or get part. It’s the “get off” always rubs me the wrong way.